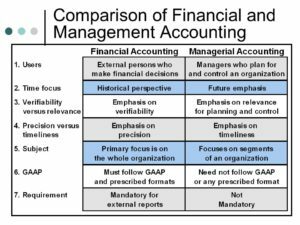 How Financial Accounting Differs From Management Accounting? Accounting professionals have a host of duties to perform for a company or an individual. Some of the accountants deal with the financial statements, while others deal with organisation’s managements. Businesses cannot functional optimally without efficient management and financial accounting systems, so these areas should be managed properly to achieve sustained growth. 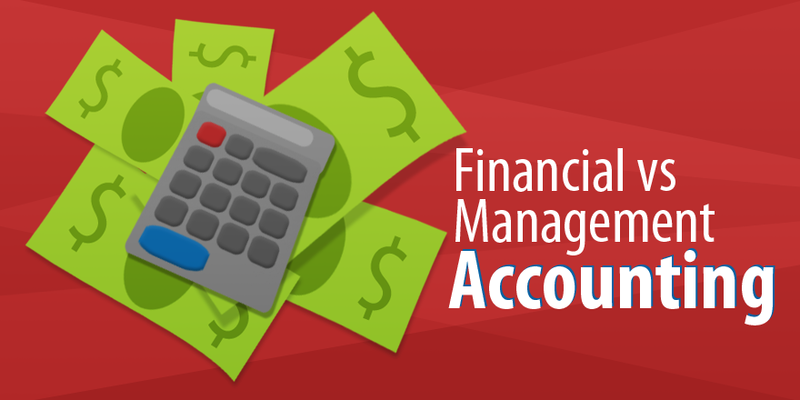 Let us take a closer look at what is financial & management accounting, and how do they differ. Financial accounting represents a specific field of accounting that deals with the summary, analysis and reporting of financial transactions of a business. It involves preparing financial statements that can be accessible by the public. Moreover, it is usually performed to state the financial condition of a business to its external stakeholders, creditors, Board of Directors and investors. Concisely, financial accounting caters to the external audience of an organisation. Management accounting is a branch of accounting that is aimed to provide financial information within the company and assist managers in controlling, planning and decision-making. It deals only with the current situations, future trends and challenges. Management accounting is performed to enhance the financial status of an organisation and help achieving the company’s goals and objectives. The major difference between both the types of accounting is that management accounting is used internally whereas financial accounting caters to external stakeholders. Financial accounting reports are legally required whereas the managerial reports are just optional. Financial accounting is vital for potential and existing investors, while the management accounting is essential for the managements to make the right decisions. Financial accounting has a unified structure of presentation, meaning that the information is presented on a uniform basis. Balance sheet, income statement and the statement of changes in the financial situation are the three basic statements of end of financial year tax preparation accounting. On the flip side, management accounting depends merely on the in-house management and varies in structure from one organisation to another. The accounting can be tailored to meet the needs of the management. Financial accounting is prepared in compliance with the Generally Accepted Accounting Principles, meaning that the financial statements are prepared as per the general guidelines issued by law. On the flipside, management accounting is prepared exclusively for the management of the organisation. These accounting statements are not made available to the outsiders, so they can be formulated as required by the management. At Elizabeth Zeuschner Associates, we offer a number of accounting services, including office administration, payroll processing, bookkeeping, tax preparation, management and financial accounting services to our customers across Glen Iris and nearby suburbs. For assistance, call us at 03 9885 9649! ← What Are The Services Offered By An Accounting Firm?